We have been involved in tackling agricultural pollution with a number of different organisations. One of our tools has been a joint letter to Lesley Griffiths, Cabinet Secretary for Energy, Planning and Rural Affairs. 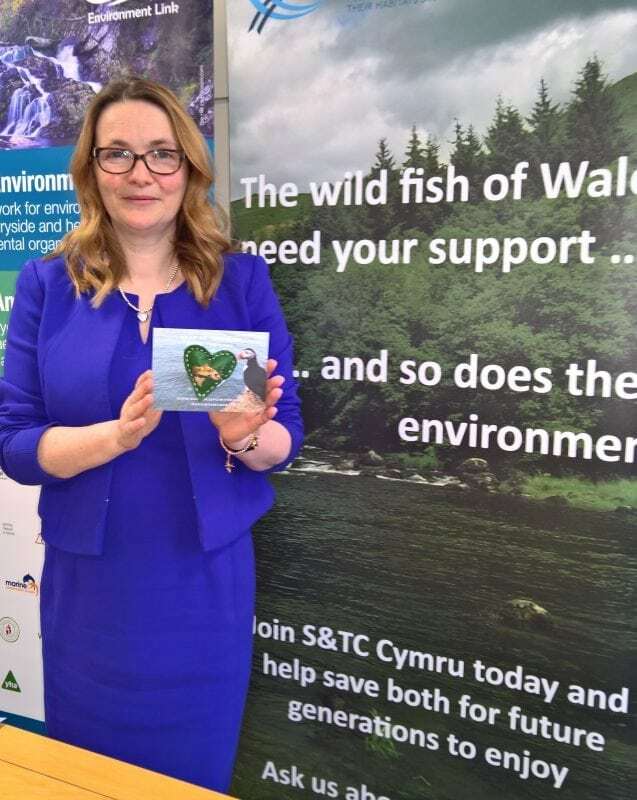 The letter highlighted the chronic and pervasive issue of agricultural pollution in Wales, signed by a number of organisations including Wildlife Trusts Wales, WWF Cymru, RSPB Cymru, Afonydd Cyrmu, Salmon and Trout Conservation Cymru and Butterfly Conservation Cymru. We subsequently met with Ms Griffiths to further express our concerns on the 23rd of April, taking the opportunity to discuss appropriate measures, including regulation, to help stop agricultural pollution poisoning our rivers. We are still waiting to hear what steps, if any, the Welsh Government are willing to take to bring an end to agricultural pollution. Tackling this urgent issue is a watershed moment and a key test for Welsh Government's new environmental legislation. You can understand these issues by reading the letter here: Letter to Cab Sec Lesley Griffiths - Agricultural Pollution. The Species Champion project pairs at-risk species with elected politicians, giving political representation and awareness to wildlife under threat. AMs are kept briefed on their species and up to date on population developments and habitat initiatives. We have joined with Buglife Cymru as lead organisations for the Yellow Mayfly, Potamanthus luteus, and we hope very soon to find a willing AM to become its Champion in the Senedd (public building of the National Assembly). 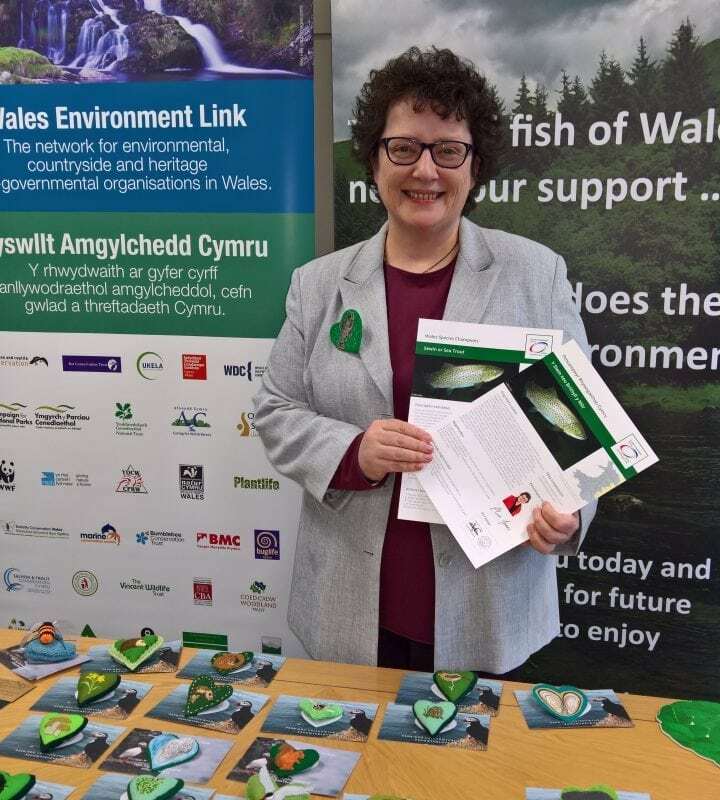 We are also leading with Afonydd Cymru (Welsh Rivers Trusts) on the brown trout, whose Species Champion is Kirsty Williams AM; with the Llywydd (Presiding Officer of the National Assembly) on the sea trout, whose species champion is Elin Jones AM; and on the European eel with Dawn Boden AM as its Species Champion. Read more about the Brown Trout and species Champion Kirsty Williams by downloading this fact sheet: Brown Trout Species Briefing. Learn more about the sewin (sea trout) and species champ Elin Jones by downloading the sewin fact sheet. We also contributed to and supported the recent Wales Environment Link statement on freshwater pollution. This was a follow up to the 2013 “Valuing our Freshwaters” pamphlet which was co-authored by S&TC. “Agricultural pollution is having a devastating effect on our rivers and there is little evidence to indicate that anyone is anywhere close to bringing it under control. You can read the statement here: Restoring our Freshwaters.